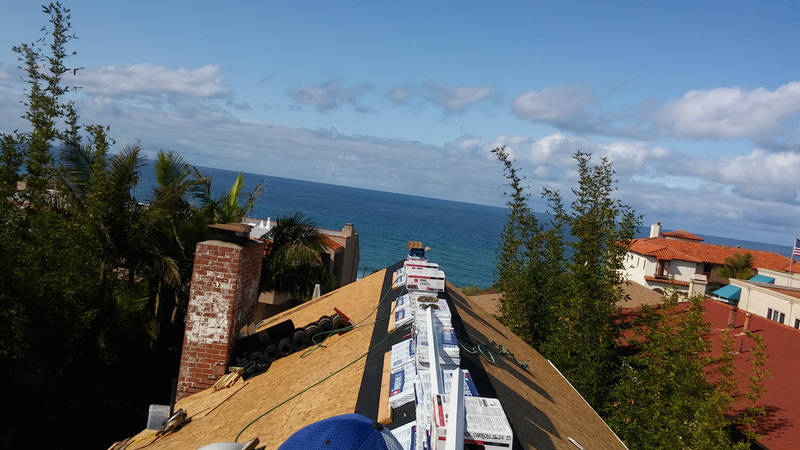 Atkins Roofing performs roof repair services to roof coverings, sheathing, flashing, drains, fascia and eave boards. 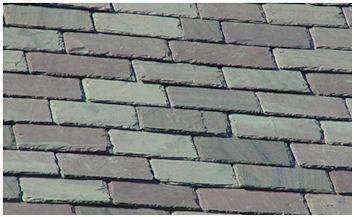 The roof components shown below are where roof leaks and water damage are likely to occur. 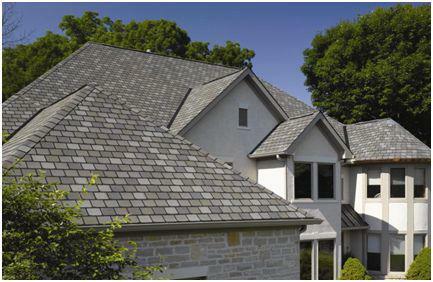 Roof Repair to Roof covering: shingles, tile, slate or metal and underlayment that protect the sheathing from weather. If you have broken, missing, slipped or lifted roof coverings, it allows water intrusion and damage to the underlayment will occur. 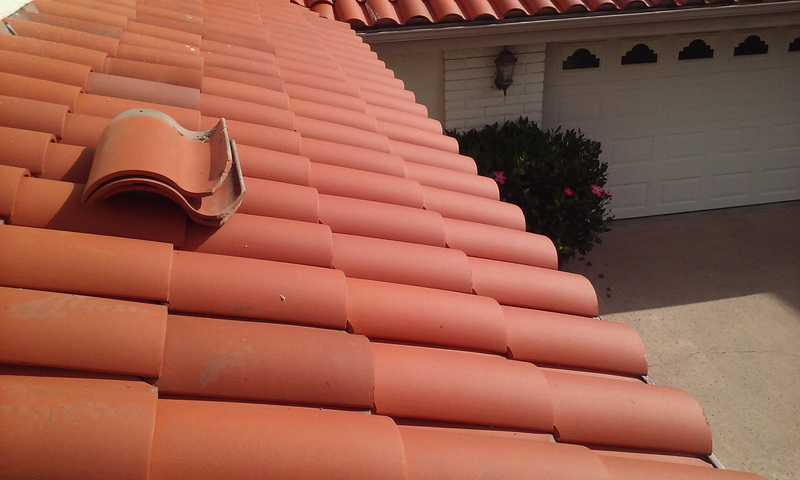 We repair or replace damaged roof coverings and underlayment, as needed. 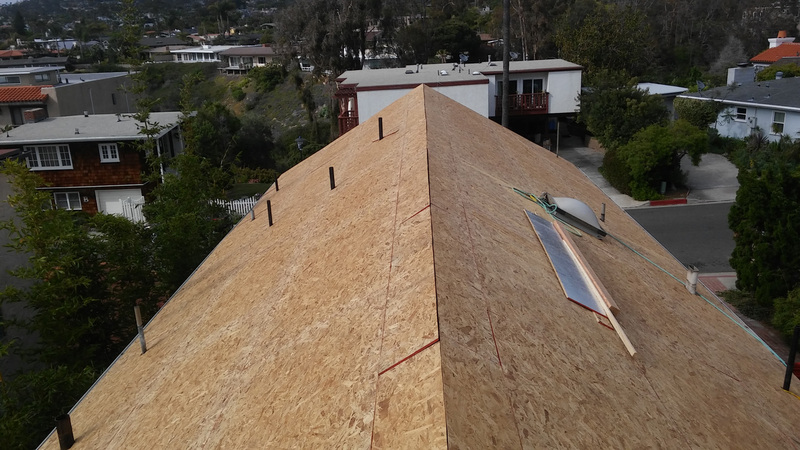 Roof Repair to Roof Sheathing: boards or sheet material that are fastened to roof rafters to cover a house or building. 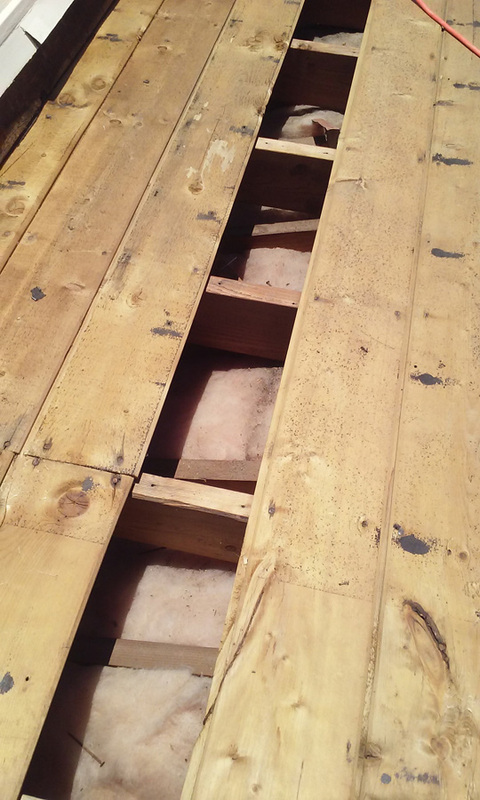 Water intrusion through the roof covering causes damage to the sheathing by promoting fungus infection and dry rot. If not corrected, damage can become extensive and affect the structural integrity of your home or building. We repair or replace water damaged sheathing, as needed. 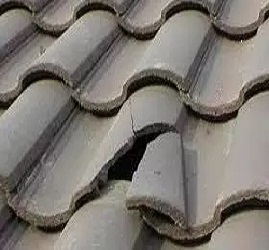 Roof Repair to Roof Flashing: sheet metal or other material installed into a roof system’s various joints and valleys, at plumbing and heating vents, and at the roof base of chimneys and air-conditioning units to prevent water intrusion. 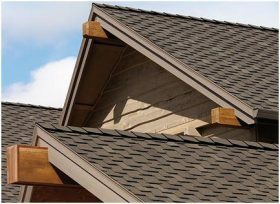 Missing, bent, lifted or improperly sealed flashing can cause severe roof damage and interior damage to the home. 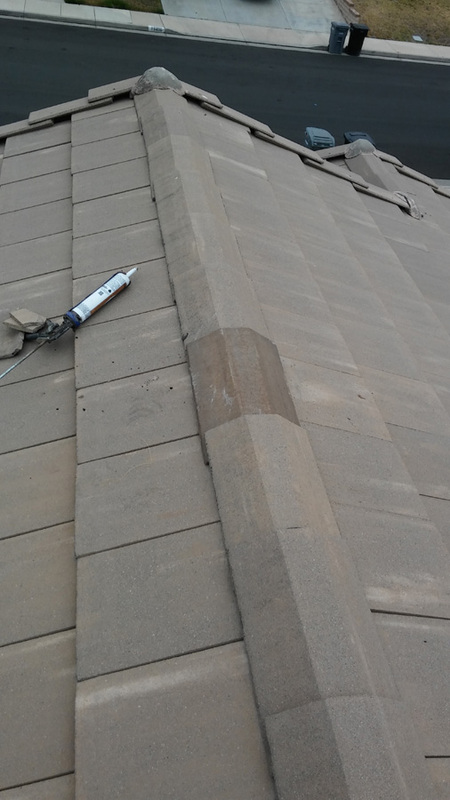 We check all flashing and repair, replace and apply the proper adhesive sealant recommended by the manufacturer. We also install collars to the plumbing and heating vent pipes, as needed. 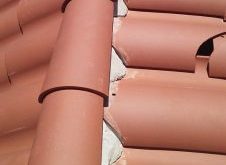 Roof Repair to Roof Drainage: a roof system’s design features, such as shape, slope and layout that affect its ability to shed water. Most often, flat roofs develope drainage problems over the years due to the drains becoming plugged up by debris, improper sloping of the roof towards the drains, not enough drains installed as required per the roof area or the size of the drain(s) is not sufficient to effectively shed water from the roof. Standing water, at any height level, will deteriorate your roof covering and weaken its’ support capabilities. The extra weight of the water is also a factor that could lead to the collapse of your roof. We replace and install additional drains, if necessary, to correct any drainage problem. With sloped roofs, it is usually gutters filled with debris that cause poor drainage or no drainage at all. Gutters filled with standing water cause damage to the eaves and fascia by promoting fungus infection and dry rot. The weight of the debris and water in the gutters can also cause them to become loose, pulling the mounting bolts out of the fascia or stucco and allowing water intrusion into those areas and can completely detach from the structure and fall below, causing great harm to humans and animals. Keep your gutters free of debris by having them cleaned often. We do not clean gutters. Roof Repair to Roof Skylights: All skylights will develope leaks over time just by the seals becoming brittle and cracking. Sometimes sooner if the skylight was not installed properly and according to the manufacturer’s instructions. 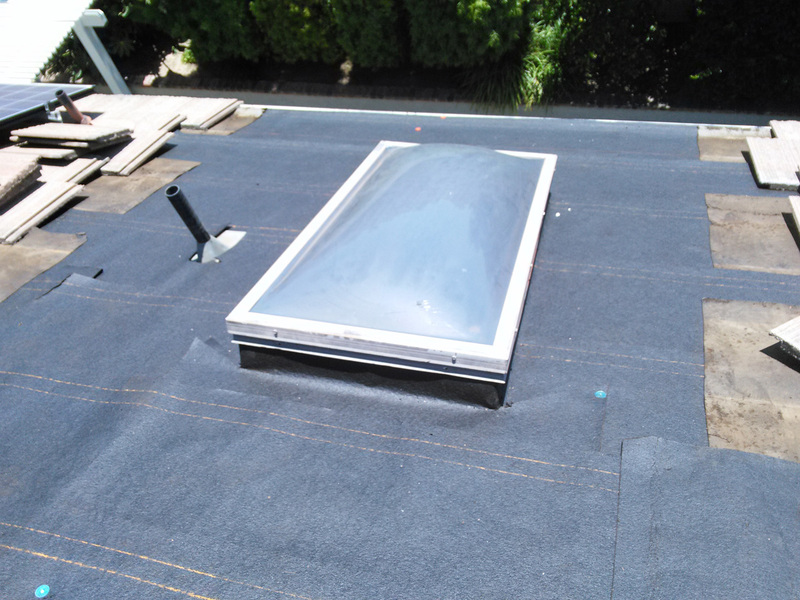 We will repair or replace skylights.